Hello Guys! 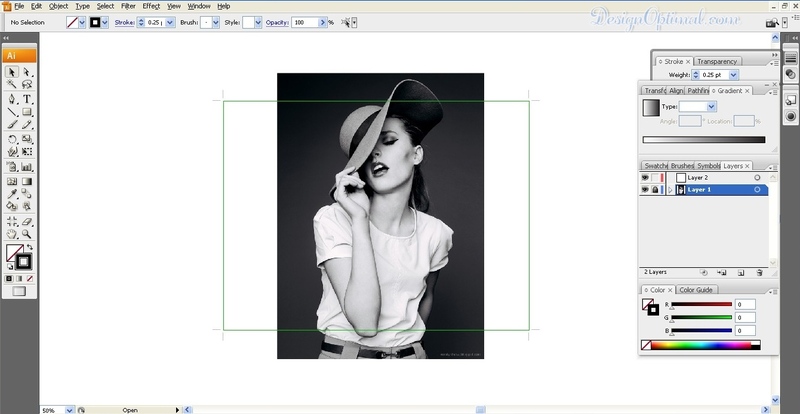 Today we are going discuss about how to create a Pop art poster design using Adobe Illustrator. If you search in the web, you can find many inspirational Pop art posters. Some of them like Comics and some are kind of vintage effect. You can get more inspired from them too. 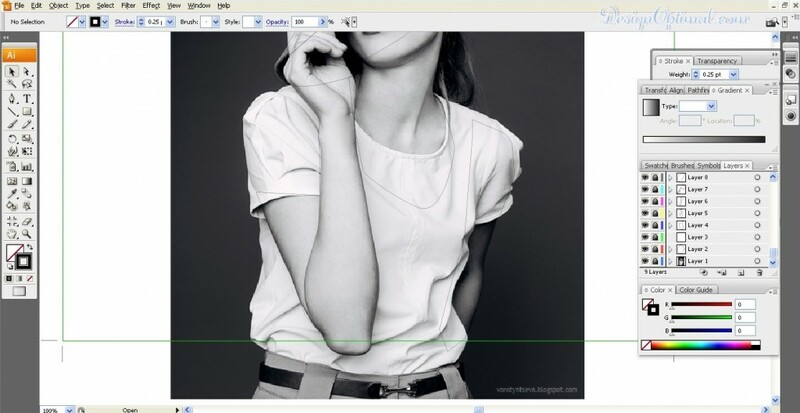 Open Adobe Illustrator and make a new document of A4 but make sure the color mode is RGB, because currently we are not doing this for the print but for the web. If we are going to create this straight away for printing then better start in CMYK mode. Make sure the page orientation is Landscape. Now save it as Pop Art. We used an image called karina_by_nerysoul-d4k7m2y, which is mentioned in the resources section at the beginning of the tutorial. So here we start. We will be tracing her Part by part so we will start with the face and after that we will be tracing the outline of the Hair. Next we will be tracing the outline of the body and the dress in order. 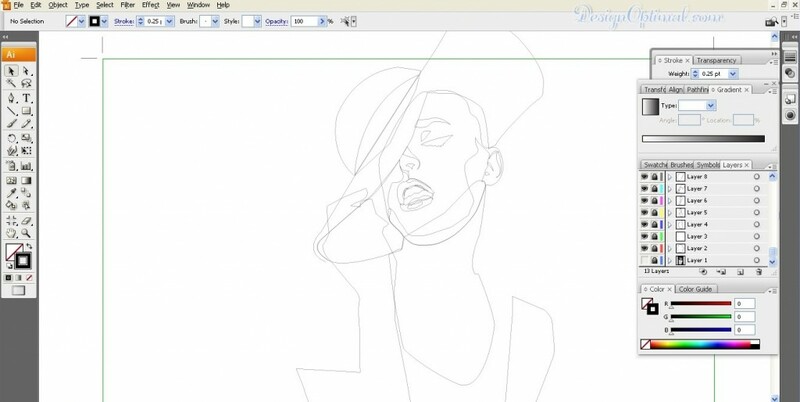 Make sure when you draw the outline of the Girl to make the lines and curves smooth. 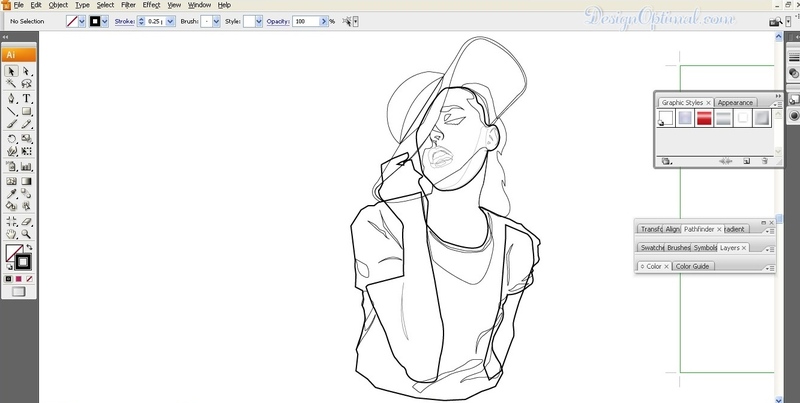 Note: every time you trace a part of the girl add a new layer and if you need to see the reference image turn off the appearance of the top filled layers or outline layers. After tracing these we will be tracing the outlines of the eyes, mouth, nose and the ears. When you finish tracing it, it would look like this. After that, we will be marking the highlight areas and shadows as shown below.